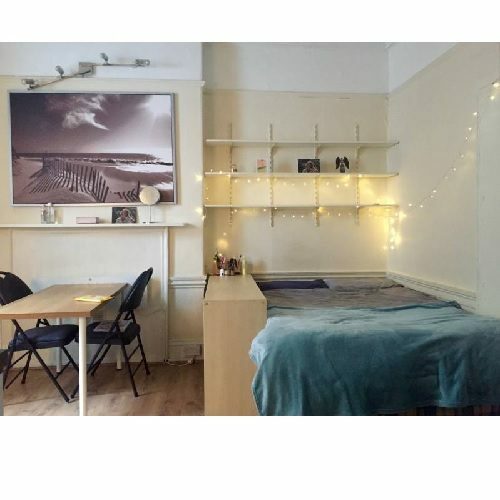 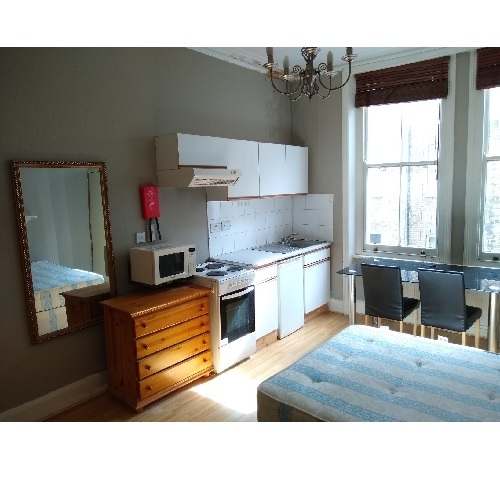 A double semi-studio with two original sash windows, high ceilings, fire place and wooden floors which has been recently refurbished and decorated. 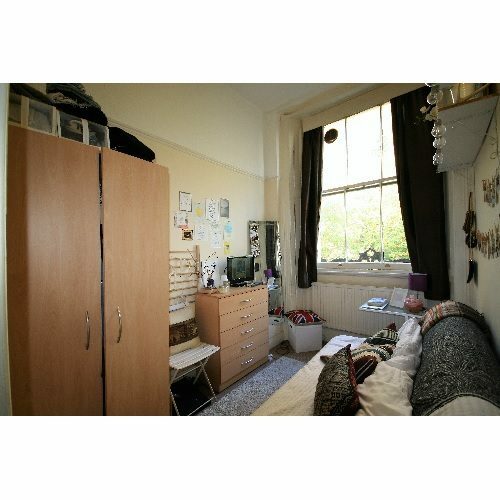 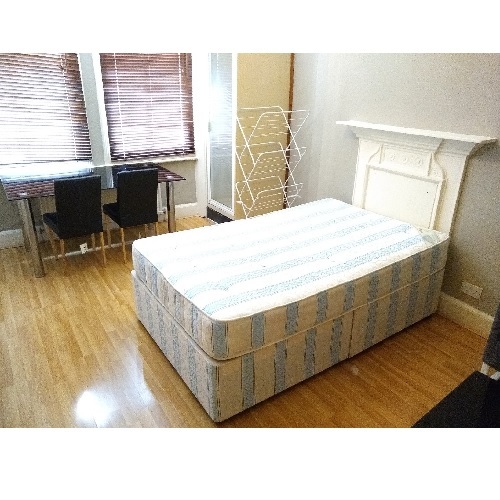 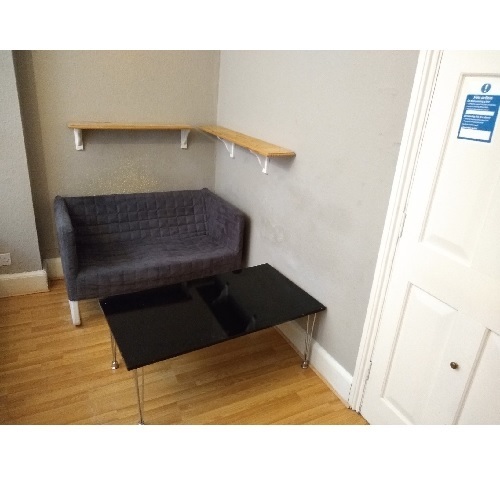 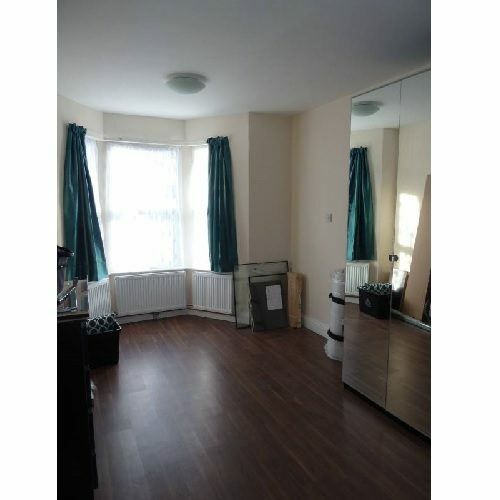 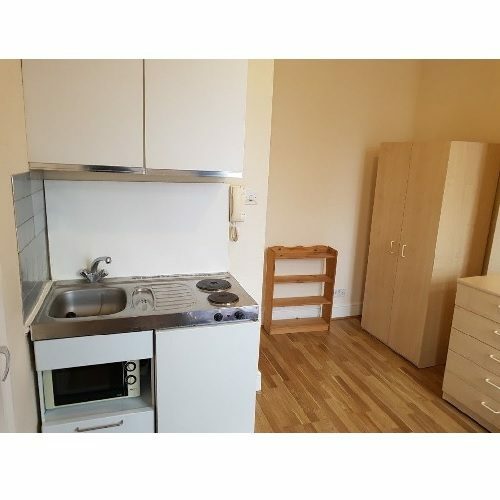 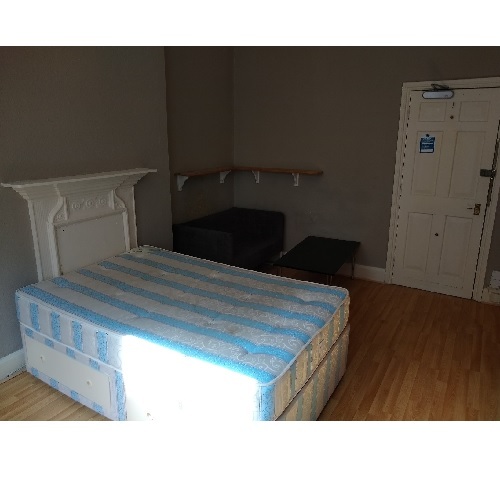 Fully furnished with a double bed, dining table and chairs, desk, wardrobe and chest of drawers. 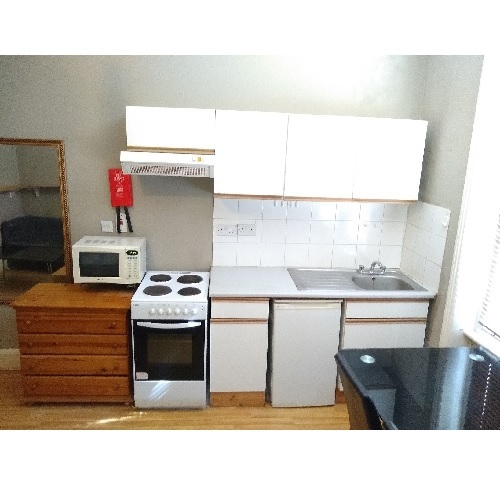 Kitchenette with a freestanding cooker with four cooking rings, grill and oven, fridge with freezer compartment, stainless steel sink and a range of wall and base units.